RCF Restoration, LLC, Trademark and copyrighted since 2005. ​Water damage to your home or business can be devastating both mentally and physically. No amount of preparedness will protect you from the devastating effects, but a course of action will restore your sanity. Natural disasters and water damage not only create havoc by disrupting lives and living conditions, the aftermath leaves a wake of damage to property and personal belongings that needs to be addressed in short order. The longer it takes to repair water damage, the better chance for additional health threats and continuing damage to occur. 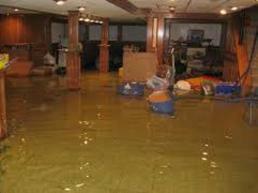 The longer the effects of water damage are left unattended, the better chance of health threatening mold to set in. Important personal documents and papers will be destroyed. Carpets and hardwood floors will deteriorate. Walls will swell and warp. Foundation and structural integrity may become compromised. Time is of the essence. ​RCF Restoration has quality work and excellent service. We will assess your damage and work with your insurance company to make sure that all of your repair needs are met.